Every year, more than 100,000 sea turtles and mammals are killed a year from plastic marine debris. Marine debris can wrap around fins, flippers, wings and throats, causing life-threatening injuries – even to us, our friends and our families (don’t forget your line cutter!). As divers, we have a responsibility and a duty to protect and give back to our oceans. We know that this debris doesn’t stand still. According to NOAA, oceanic currents and atmospheric winds move this debris throughout the world and more than 70 percent sinks to the ocean floor. This also makes it hard to find the origination of the debris. The best way to keep our oceans clean and to study marine debris, is before it hits our oceans. 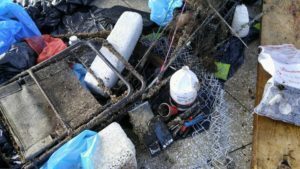 Keep Tampa Bay Beautiful reports that 80% of all our trash that goes through the drainage systems goes into our waterways – and even more in Hillsborough County due to our outdated drainage infrastructure. We only have about 50 baffles that help strain and sift a lot of the debris out of our waterways. They are extremely expensive to maintain and must be serviced regularly. Millions of dollars are invested in them each year and at this point, the city can only be reactionary and not proactive due to budget constraints. Florida is also the gateway for many freshwater rivers that start up North. The Gulf of Mexico is where several large United States rivers including the Mississippi empty into the ocean. Chemicals, sewage, debris, dredged materials, ships, construction materials and radioactive waste has been dumped into these waters. The practice of environmentally-conscious diving also spreads the message to other divers across the world. Picking up trash and sharing environmentally-friendly behavior is a universal language. Prior to adopting a site or conducting a cleanup, a dive site survey or reconnaissance is required. 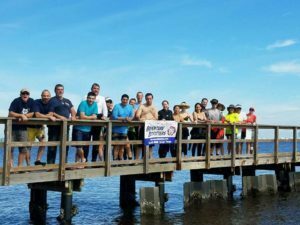 You will also need to work with an organization like Keep Tampa Bay Beautiful who can work with the city to acquire proper permits and close piers or fishing areas, when needed. To learn more about adopting a site including piers, highways or land, you can contact Keep Tampa Bay Beautiful. To see what it’s all about, come to one of our cleanups! We’ll show you how it works, what to look for and guide you to the next steps. When the Blevins family took over Adventure Outfitters in 2014, we were looking for a way to give back in a fun way that drives action. 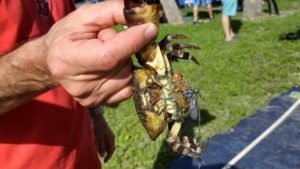 We had participated in several cleanups in the past when we lived in the Midwest and thought that with all the diverse marine life, it would be a great way to get involved here in Florida. While looking in the area, we found that there wasn’t a very large volunteer diver cleanup presence, especially within dive centers. 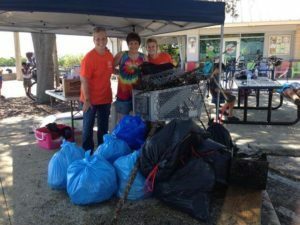 We decided to work with the local organization, Keep Tampa Bay Beautiful, who was one of the only establishments doing cleanups in the area. 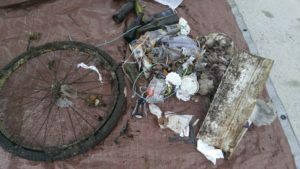 They helped us anticipate needs that we might have to start our own cleanups and provided materials like trash bags, recycling and collection bags, water and more. We also partnered with Project AWARE, a non-profit agency that tracks data and sends the information to national and government agencies and organizations used to work towards solutions to the global marine debris crisis and help protect vulnerable marine species. Daniel Fisher with the Tampa Bay Green Consortium really helped inspire our team and gave us the confidence to start our own cleanups. This organization has since dissolved but its volunteers are still active. 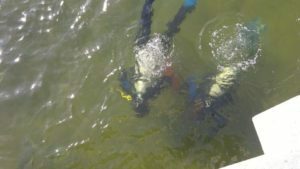 See their Facebook page Tampa Bay Dive Against Debris. Adventure Outfitters adopted Picnic Island Pier in 2014 and Ballast Point Pier in 2015. As we maintained our cleanup schedules, we tried to adopt new, green thinking. We integrated lead weight found on our cleanups in our classes – by making custom soft weight pouches. We also incorporated new thought to water provided to our volunteers. We requested reusable gallon jugs that we fitted with a water pump, instead of providing disposable plastic water bottles which according to the Coral Restoration Foundation, less than 30% of plastic water bottles are recycled. We often find plastic water bottles on our cleanups. In 2015, Adventure Outfitters was recognized by Keep Tampa Bay Beautiful for our Environmental Service Projects and in 2016, for our Innovative Green Initiatives. 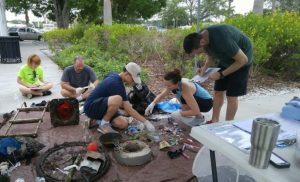 Since starting the Dive Against Debris program, we have started cleaning up two additional dive sites including Marjorie Park on Davis Island and the Old Gandy Bridge near Gandy and Westshore. 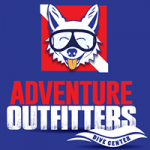 To take a Dive Against Debris class or to learn more about our program, please contact Adventure Outfitters Dive Center at info@adventuretampa.com or at 813-832-6669.